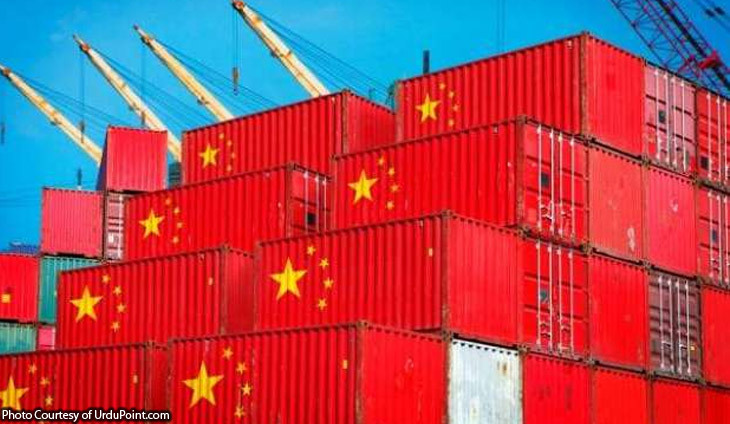 China’s trade surplus with the United States jumped in May, official data showed Friday, worsening the imbalance at the centre of tensions between the economic titans while Beijing’s advantage with the rest of the world shrank. The figures may reinforce Washington’s determination to move forward with new tariffs on tens of billions of dollars of Chinese imports as early as next week. Beijing has warned those tariffs would void agreements made between the two powers over months of trade negotiations between the world’s two largest economies. The record imbalances are at the heart of US President Donald Trump’s anger at what he describes as Beijing’s unfair trade practices that are hurting American companies and destroying jobs. Trade is also expected to dominate upcoming G7 talks — which do not include China — with Canada and leading European nations warning Trump they will not back down over tariffs. For the first five months of the year, China’s surplus with the US crossed the $100 billion mark, hitting $104.8 billion. Customs data showed the surplus grew 11.7 percent on-year to $24.6 billion in May, with exports to the US rising by about 12 percent and imports up 11 percent. With the wider world, Chinese demand has outpaced its shipment growth, with its surplus of $24.9 billion for the month down 38.9 percent from last year. China’s exports grew 12.6 percent in May while imports jumped 26 percent on-year, outpacing forecasts of 11.1 percent growth and 18.0 percent respectively, by analysts pooled by Bloomberg News. “The particularly strong May figures are due to uncertainties from the trade negotiations,” said Iris Pang, an economist at ING Groep NV in Hong Kong to Bloomberg News. On Thursday in Washington, the US announced it had reached a deal with Beijing to ease sanctions that brought Chinese smartphone maker ZTE to the brink of collapse, a possible indication of progress in fraught trade talks. The ZTE settlement came just days after Beijing reportedly offered to ramp up purchases of American goods by $70 billion to help cut the yawning trade imbalance with the United States — moving part-way towards meeting a major demand of Trump. Trump has demanded a $200 billion reduction in its trade deficit with China over two years. Despite the settlement, there was no sign Trump had veered from plans to impose as much as $50 billion in tariffs on Chinese imports to punish Beijing for its alleged theft of American technology and know-how. Despite some positive signs for a trade deal with the US, analysts cautioned China faced other trade hurdles. New taxes should carry the smallest blame for the surging price of oil. Trade wars: Is Trump lining up Japan next?